Our youth are in danger. Parents can no longer count on the fact that society will be sending the same messages of morality to Christian children when they venture away from their homes. Children are being bombarded with messages that the NWO and climate change initiatives are good, while freedom and individual expression of opinion are bad. Any takeover of any nation would have to consist of a detailed plan to entrap the youth of the targeted nation. By propagandizing the youth of a new nation that the goals of the new elite are noble and worthy of support, the new establishment would target the youth with incessant messages that deviate from the messages imparted at home. Every youth program is predicated on the banner phrase “out with the old and in with the new. The reason behind the undermining of parental authority in America has to do with I have come to call a “post-collapse” strategy which will be ushered in following the demise of the dollar. If the NWO can convince children to buy into the new Agenda (21), then there will be fewer dissidents to deal with when the ultimate crackdown begins. In service to this agenda, America can expect to see a series of Hitler Youth Movement type of organizations springing up with messages that espouse the belief that conformity is good and individual expression of liberty is undesirable. “How do you persuade a nation of relatively freedom-loving individuals to march in lock step with a police state? You start by convincing them that they’re in danger, and only the government can protect them. Keep them keyed up with constant danger alerts, and the occasional terrorist incident, whether real or staged. Distract them with wall-to-wall news coverage about sinking ships, disappearing planes and pseudo-celebrities spouting racist diatribes. Use blockbuster movies, reality shows and violent video games to hype them up on military tactics, and then while they’re distracted and numb to all that is taking place around them, indoctrinate their young people to your way of thinking, relying primarily on the public schools and popular culture“. 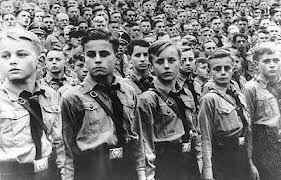 Leading the charge in the creation of Hitler Youth Movements, are Bill and Melinda Gates. 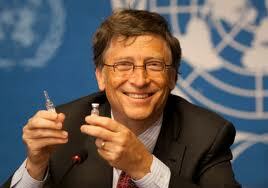 Bill and Melinda Gates have initiated an offshoot of Agenda 21 programs known as Global Citizen Nights. Global citizen nights are designed to lure in children and have them engage in some kind of community service with regard to the globalist agenda (e.g. biking vs driving, water conservation, etc.). In exchange for their good deeds, the participating teens will earn points and then be able to exchange their “globalist points” for high valued items such as concert tickets. Personal servitude to society sends the message to the young that your life does not belong to you. Charity towards one’s own community should be borne out of a desire to help or heel in the name of some cause that has personal appeal to a young person. Mandatory compliance to these “volunteer programs” conditions the youth that their lives do not belong to them and that the state has the final authority of one’s actions. 7. Ebola Action Center (author’s note: And you thought we were done with Ebola). A world without cars “would be a cool thing”. Meet the man who will bring us a vaccine for resistance to the NWO. On one positive note, the Global Citizen Nights are intended to replace the drug-infested raves. However, rather than destroying their bodies with drugs such as ecstasy, the youth are destroying their minds with globalist propaganda. One of the central themes of the Global Citizen Nights is the deliberate denigration of national sovereignty (e.g. “sovereignty is so 20th century) and the adoption of the globalist agenda at an age when young people’s minds are prone to extremist thinking. Christian parents need to perform their due diligence and assume responsibility for the development of the Christian spirit within their children. 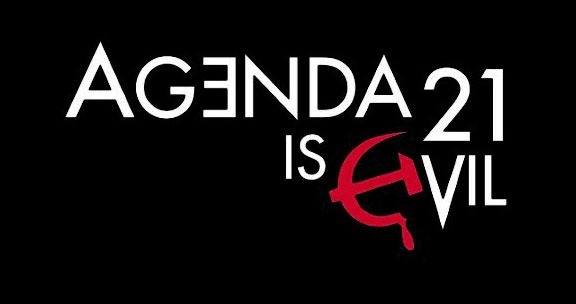 This begins by educating them about the evils of Agenda 21 and keeping them away from the Hitler Youth Movement type of organizations such as the Bill and Melinda Gates organization known as the Global Citizen Nights. When you hear the phrase “they are coming for your kids”, you need to take heed.